Operations Management | Enpower Corp. Whether a newly acquired facility or restoration of a struggling concern, Enpower Management Corp and Enpower Operations Corp (collectively Enpower) bring years of facility management experience from the energy, chemical, refining, and waste management industries to each new challenge. Enpower delivers its superior operations services from an owner’s perspective, constantly seeking ways to deliver additional value. We focus on the development of facility employee skills, teamwork, motivation and organization to optimize performance. 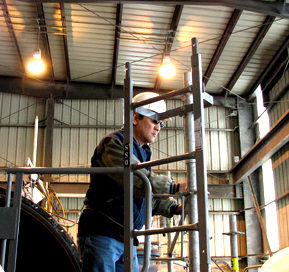 We implement strategies to cut raw material/fuel costs, eliminate environmental and other liabilities, improve customer and community relations, restructure debt, enhance revenues, and create an environment for continuous improvement. Talk to us about our experience directing the operations of healthy assets and improving bottom line performance.